Do you believe in the paranormal – ‘ghosts’ as you might have called them when young? It’s a question that usually meets with a guarded answer but if we haven’t had a psychic experience ourselves we surely know someone who has. The great Dr Johnson said about the existence of ghosts that all argument is against it but all belief is for it. Paul Fennell, himself a paranormal investigator, has collected reports of ghostly events and visitations from all over Ireland. In the preliminary section of his book he describes all kinds of such manifestations from inexplicable movements of inanimate objects to strange noises and figures that move at will through locked doors and brick walls. He categorises them, from revenants and grounded spirits, through poltergeists to demonic possession. 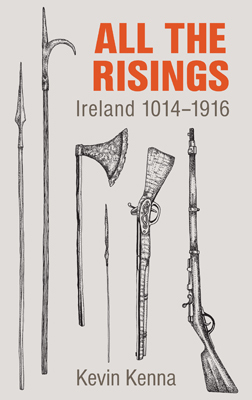 Most of this book comprises the stories of ordinary people, told in their own words. It will surely persuade the sceptical that there are more things in heaven and earth that are dreamt of in their philosophy. Paul Fennell, a Dubliner, lives with his wife and two daughters in west Dublin. He is a well-known paranormal investigator and researcher. 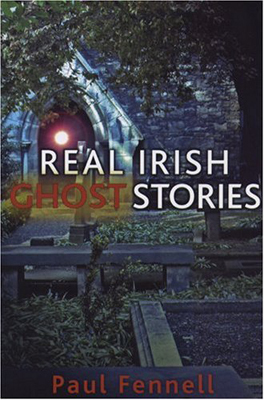 His Haunted: a Guide to Paranormal Ireland was published by Poolbeg in 2005.